I'm glad this one turned around for you! Unfortunately, can't say the same for me :( I agree with you about being bored in the beginning and that the ending did pick up a bit (but I didn't get as into it as you did). But, I'm not convinced this was a true character study in depression. I felt like she was more dithering and weak and just getting carried along...at least for a large part of the story. I just didn't find myself ever getting emotionally involved and had trouble caring what happened to her. Anyway - lots to talk about with this one! I just commented on your review, so I won't repeat myself much here :) I think the flashbacks to how her depression was handled as a child/teen was part of what made her a stronger character for me. But lots of different views on this one for sure! "Anna is really and truly depressed." Yes! Thank you, thank you. I totally agree on this and I felt like it's where many readers diverged. I talked about it in our Socratic Salon post today, but I think the fact that she's wealthy and "should" be happy makes it difficult for many people to see. I saw the SS post, haven't had a chance to comment yet! But yes, I do think she is really depressed...I think in the first half of the book, I was doubtful of that, but once you see how her parents/teachers had tried to get her help (unsuccessfully) in the past, it becomes clearer that she is truly battling a mental illness. I loved this one, too, Kelly; every heartbreaking page of it. She's just so broken and it's too late for anyone or anything to save her. I don't like her husband at all, and I can't imagine having to live with him in a foreign country, raise children and pretend for everything to be okay. 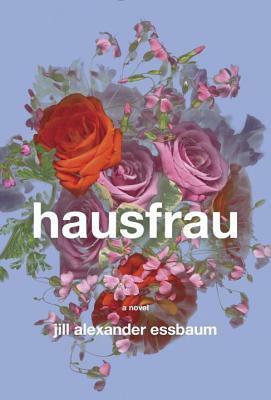 You'll have to check out some of the comments at The Socratic Salon, mentioned by Shannon (http://socraticsalon.com/2015/03/hausfrau-by-jill-alexander-essbaum/); different perspectives are always fun! So glad you made it through this one; it was definitely a beautiful piece of literature. I think you and I were the same person as we read this. Agree 100x over with everything you've said! After reading your review, I knew you would! haha. I also felt as though there was going to be a big reveal and was surprised that there wasn't. I ended up feeling bored for the majority of the book though. I just can't get excited about a character who doesn't seem to care about anything themselves.